In a fast-moving and fiercely competitive business world, connectivity is everything. Where would today’s cutting-edge organizations be without the technology to transfer data quickly and securely around the globe? The world of dictation has also had to move with the times, which is why Philips has developed its professional dictation and transcription software, specifically designed to increase efficiency and reduce document turnaround times. Now with Philips SpeechExec Pro 10 it is even easier to connect authors and transcriptionists for easier, more efficient and professional document creation. The updated software integrates Nuance Dragon Professional speech recognition integration, combining two market leading professional dictation solutions into one easy-to-use workflow. Within the Philips dictation workflow, the software turns voice into text without the need for typing, making document creation one simple process. Mr Wirix recently also started to use speech recognition technology. Some time ago he was introduced to the Philips speech recognition software at the Tongeren Bar and did a test with it. “I read a text and my voice was recognised almost immediately. The text appeared almost correctly and perfectly on the screen, so I was hooked quite soon to the new Philips technology. 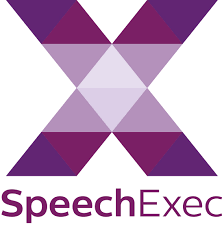 To sum it all up, SpeechExec Pro dictation and speech recognition software links authors and typists, facilitating communication, the setup of individual workflow settings and organizational flexibility. Both sides can work more efficiently and get more done in less time. Previous articleAre you using a print management or a cost recovery system?